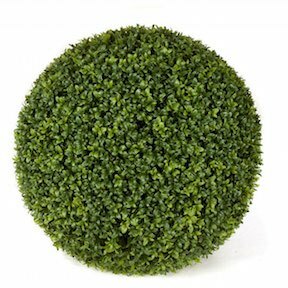 20 Inch Polyblend Outdoor Boxwood Ball Topiary with Styrofoam Frame. Polyblend protection to sustain all weather protection. Would also be great for indoors in any room in your home.